Here is a strategy, you can apply to your business today! When I first read this message, my initial thought was "S...! Is it so bad?" Then I discovered this was not at all about my business. Neither did the lady sending me this want me to buy a service to clean up my mistakes. What this is, is an example of a very intelligent and 100% legit strategy we can all apply more of to our businesses. This is a SEO person working on getting more traffic to their blog. Yes, they are probably selling a service to help me with my website, but I am not the target customer here. I am a potential lead generator. The topic here is backlinks. That is getting other people to put links on THEIR websites leading to your content. I think everybody can agree headlines are important. They attract customers and trigger actions. In marketing in general, great copywriting is one of the most desired skills. Using the right words can make up success or failure for an otherwise similar campaign. But how do you know which words your tribe will resonate with? 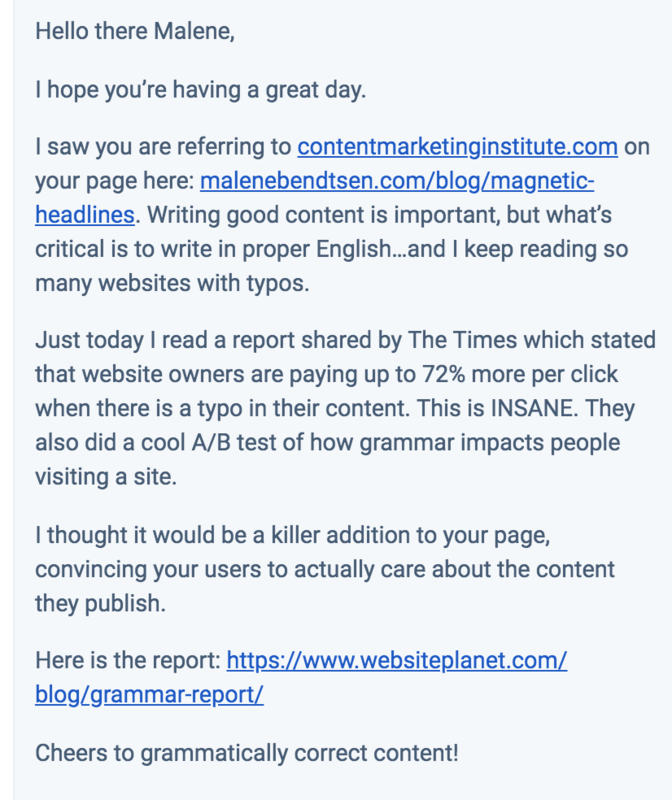 Once you have read this blog post or watched the video, you will have a much bigger toolbox for creating great headlines that make people stop scanning and dive into your content. You will also get my personal empowerment tool to force yourself to create more interesting headlines! Ray Edwards, author of ‘How to write copy that sells’ outlines 5 essential qualities. Grabs attention within 2 seconds. The ONE JOB of the headline is to get the reader to read the next sentence. To make the reader stop scanning. These 5 revenue hacks can give you a headstart in your niche! 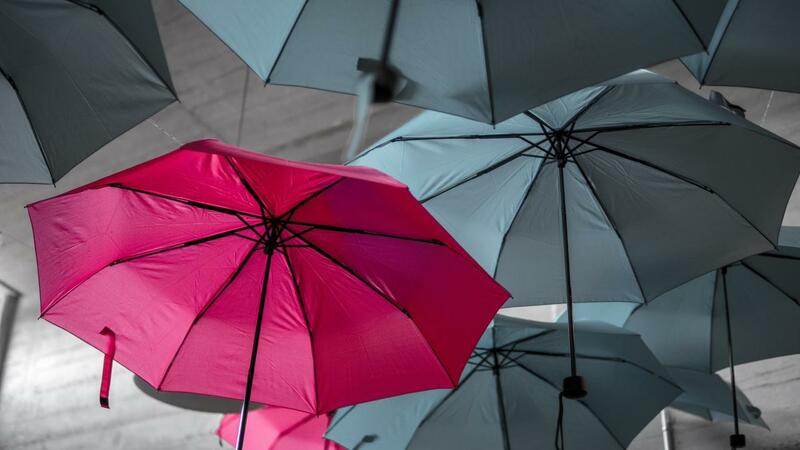 There are many, many ways to increase your revenue. However, the devil lies in the detail and here are 5 areas that are sometimes overlooked or less prioritized. Maybe there is an idea in there for you too? Warm up your prospects and educate them to be ready to buy. When you are selling intangible products the trust factor is much bigger and you need to earn your *ask*. First, you need to give, give, give. Your prospects should feel they know what you can do for them, they should like you, and they should trust you. Your funnels should be built for that to happen in a natural next-step flow. For some of us, the idea of writing a book can be all too intimidating, and we tend to be our own greatest roadblock when it comes to getting started. And while you can treat yourself to fancy new notebooks and shiny pens meant to motivate your writing, putting pen to paper isn’t actually the most efficient use of your time. Rather than write, you should speak. 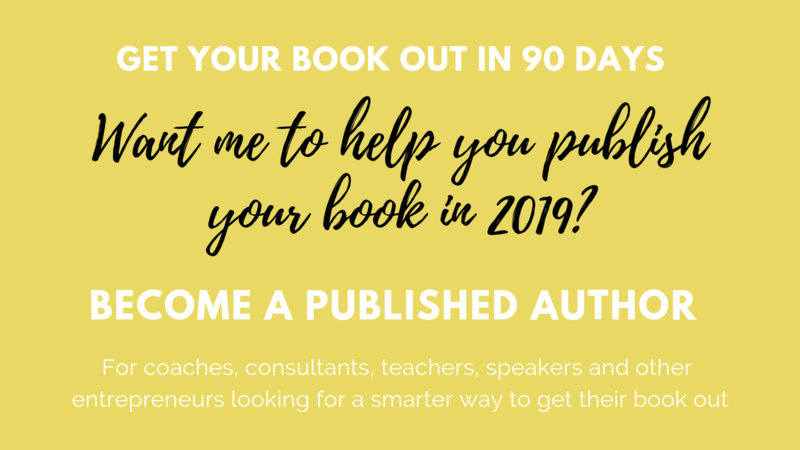 In fact, this is one of the tips I give in my book, The Proven 10-step System to Rapid Book Publishing, a guide to speedy and smart self-publishing. 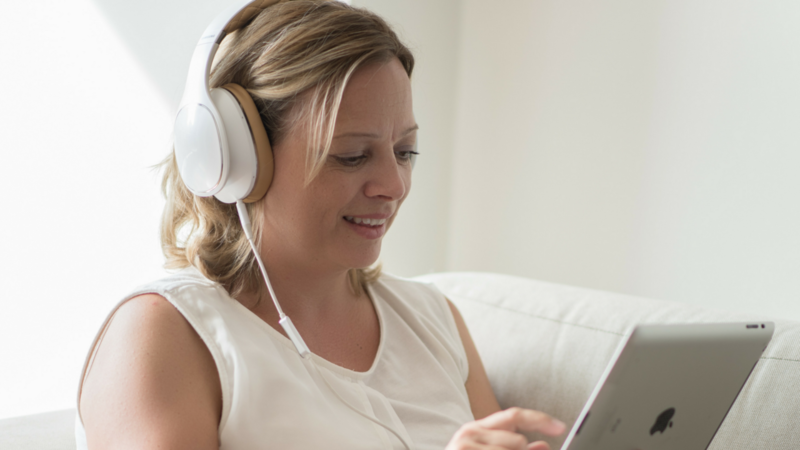 Grab a recorder and find a comfy seat, a quiet room, or a space with hallways and stairs should you prefer to pace while you talk. Anyone can publish a book. How about you publish yours in a few months? If you are a business owner or entrepreneur and you are looking to grow your business using digital strategies, one of the most popular and efficient tools is book publishing. Online entrepreneurs are publishing more books than ever. Why? Because, unlike what many people think, doing business online is super personal. And really, anyone teaching great stuff can easily publish a book. With a little help in just a few months! Building a strong trustful relationship with your audience (read: prospects for other information products) is crucial for building and growing a successful business online. Publishing a book allows your audience to get to know you and learn how you think and if they relate well with you and your content. It allows them to position you as an authority and build a strong belief that you will be able to help them solve significant problems. It's that simple. I cannot think of any business which does not need Internet Marketing. Are you advertising your business online? Are you unsure about how to get started? Are you updated on some of the hottest tricks? Or do you just want someone to deliver high-value leads at your doorstep? Did you know there are 1,39 billion monthly active Facebook users? That 890 million people log into Facebook daily? That 15,8% of all internet time is spent on Facebook? That 70% of small businesses required customers using Facebook? Without any doubt digital marketing has become a substantial factor in marketing and branding strategies driving a growing need to develop relevant, personalised content that responds to the values and identity of each sector, but mainly the brand and the target audience. A Forrester Research report estimates that, by the end of this year alone, investment in digital marketing in the US will reach almost 12 billion dollars. That’s billion. With a B. 12 billion dollars! It is amazing, however, how many investors in digital marketing, have no idea if their investment pay off. Measuring the Return On Investment on marketing should be as natural as putting the money in there in the first place. No. The point is not the very popular viewpoint, that you have to do something 10.000 times before you can call yourself and expert. Surely, practicing something many times makes you good at it. But the point I want to make here is, that being a generalist is a choice that is gonna hold you hostage inside a business model that is very hard to scale.